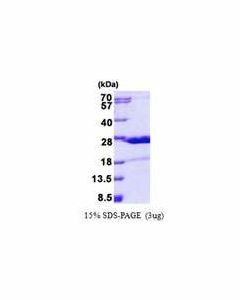 SUB1, 1-127aa, Human, 01-1841-1 | ARP American Research Products, Inc.
SUB1, also known as PC4, is a general coactivator that functions cooperatively with TAFs and mediates functional interactions between upstream activators and the general transcriptional machinery. SUB1 interacts with the activation domain of transcription factor IIA (TFIIA) and TATA-binding protein (TBP)-associated factors (TAFs) to directly bind to double stranded DNA. This protein induces both activation and repression of RNAPII basal transcription, depending on the presence or absence of these transcription factors and holoenzyme components. 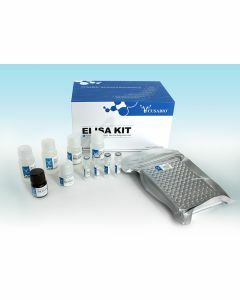 Recombinant human SUB1 protein, fused to His-tag at N-terminus, was expressed in E.coli and purified by using conventional chromatography techniques. 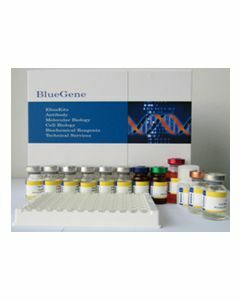 : p14, P15, PC4, Activated RNA polymerase II transcriptional coactivator p15 Activated RNA polymerase II transcriptional coactivator p15, Interferon related developmental regulator 1, MGC102747, PC4 LSB, Positive cofactor 4, RPO2TC1, SUB1, SUB1 homolog. Tavenet A., et al. (2009) Proc Natl Acad Sci U S A. 106(34):14265-70. Scott KL., et al. (2009) Nature. 459(7250):1085-90.